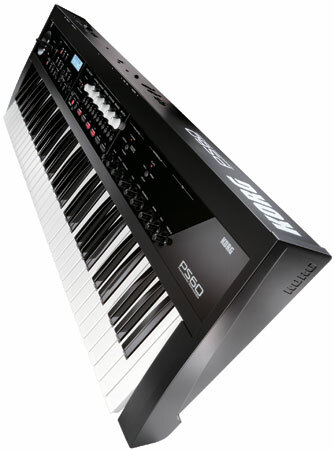 Korg PS60 keyboard is awesome! POLYPHONY 120 voices in single mode; 60 voices in double mode. MULTITIMBRAL PARTS 6: Acoustic Piano, Electric Piano, Organ, Strings, Brass, and Synth. SIMULTANEOUS EFFECTS 5 inserts, 2 master, plus global EQ. W x D x H 36.41" x 11.45" x 3.54". This keyboard is very nice. Korg always tends to release great products so feel safe to drop the $900 dollars. Now it does not have a workstation/sequencer on it so you either have to use it as a "live" keyboard or play directly into Pro Tools and track from there. The keyboard is layered with great quality sounds. when in performance mode it has a macro-level setup encompassing sounds, splits and layers, effects sends, modulation effects, delay, reverb, and EQ.